I'm obviously a little late on this one, but the photo is just too good to wait for next year. 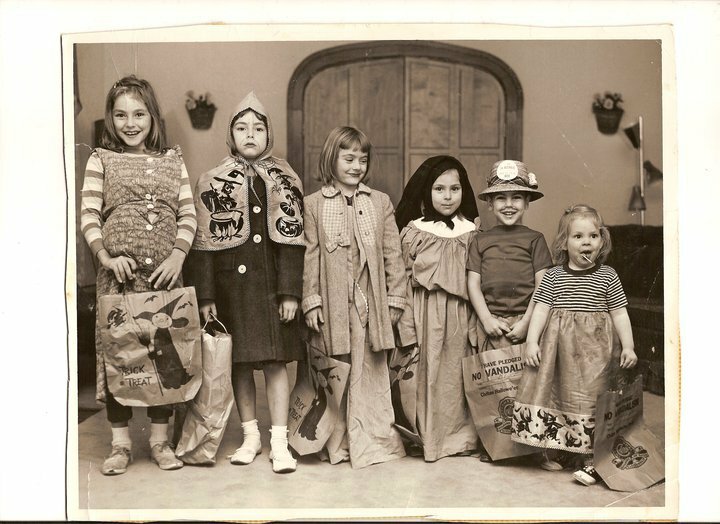 These are the Kalush kids of Beard Street in the sixties getting ready to hit the streets of Flint for Halloween. Note the anti-vandalism message on the bags...Ahh, Flint. Click photo to enlarge. Thanks to Michael Kalush for the wonderful photo. Which one is Marty? That's a long time back. Maybe wrong era...thirties? Kalushs' good folks. When costumes were real costumes :) What a great photo! A block away from me at the time, if it was the late sixties(we lived on Maxine and Court). About three miles away if earlier. Is Michael Kalush the one who went to Powers and St Mike's probably graduating in 1972? If so, I wonder if he remembers me? i still have photos somewhere of MK with a bunch of friends. Another job for another day--scanning the thousands of photos and negatives. Awesome pic! Great "old school" costumes. Those were banner times for haulin' in the candy. Over in the Salisbury St. neighborhood it was normal to make two or sometimes three trips to hit all of the houses that gave out candy. From Blackington and Salisbury to over past Coolidge. Great days! 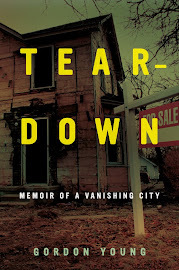 Slightly off subject but this blog entry brought back vivid memories of a Flint Halloween night in either 1958 or 1959. Trick or treated on Baker Street one street over from Dayton where I lived. Elderly Mom in a rocking chair invited us in and had her middle aged single son give out Captain Marvel and Superman Golden Age comics from the 1940's, two to each kid from a pile of 50 or so, saying something about cleaning out the attic and thought you boys would like them. I read them and traded my two for newer comics in the next month thinking I got the better deal. Using the power of looking back after all these many years, this was not one of my smartest moments in Flint life. The only one probably sorrier than me looking back at what slipped through our hands was her son to his last days.